Clear glass cylindrical container, straight sides. Some bubbles visible in glass. Cork stopper in top, sealed with clear wax. Some Chinese characters visible on side of bottle. 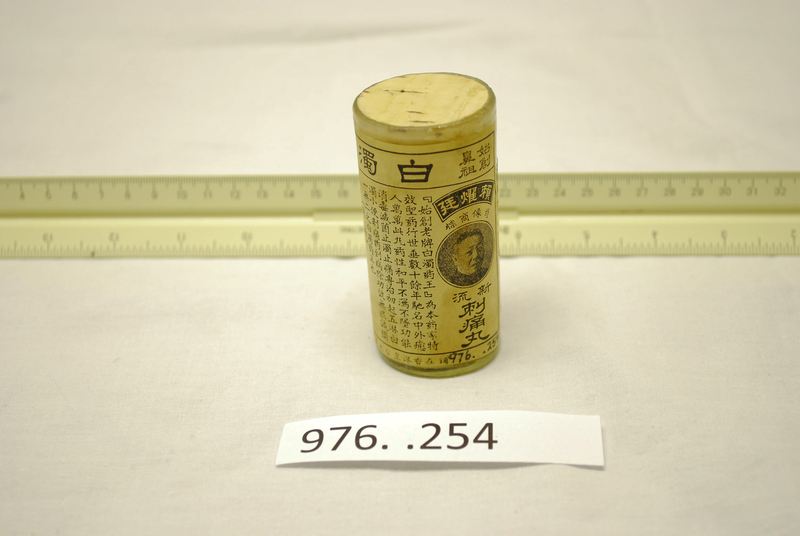 Paper label, with black printing--a man's photograph and Chinese characters on it, around most of sides. Inside bottle are original contents--large black capsules and round, brown balls inside. Contents appear to be in poor shape.